Robin Williams was too much. For much of his career, the irrepressible Williams, who was found dead in a suspected suicide Monday at the age of 63, forswore subtlety. Ever since bursting into the public consciousness as the manic, rainbow-suspender-wearing TV alien in the sitcom “Mork & Mindy,” he seemed to be permanently toggling between two points on the emotional dial: wild, hyperkinetic looniness or unabashed sincerity. In more recent years, he seemed to have discovered different, darker corners that allowed him to exhibit some of his most compelling work, not as the one-man purveyor of over-the-top joie de vivre but as a gifted actor unafraid of his own shadows. For audiences of a certain age, Williams was best known as the man with the motormouth persona and constantly shifting alter egos who would jump effortlessly into impersonations during his breathless, scene-stealing appearances on “The Tonight Show” and other late-night talk programs. Whether he was channeling Popeye with note-perfect malapropisms in the eponymous 1980 movie or portraying the loud, loquacious disc jockey in “Good Morning, Vietnam,” Williams could be counted on to bring unbridled energy and a near-bottomless supply of ad libs to roles that felt tailored to his singular gifts. He never shied from subversive material: He has a cameo in Bobcat Goldthwait’s poisonously funny satire “Shakes the Clown,” and he went out of his way to dismantle his own sunnily unthreatening public persona as a washed-up, foul-mouthed kids performer in Danny DeVito’s scabrous showbiz parody “Death to Smoochy.” But it wasn’t until 2002’s psychological thriller “One Hour Photo” that Williams seemed to shed the mannerisms and self-conscious quirk completely. In that quiet, unsettling drama, exquisitely directed by Mark Romanek, Williams played a photo-booth clerk who becomes obsessed with a prosperous suburban family whose lives he witnesses through a succession of happy portraits. Williams’s finely calibrated performance was utterly free of the tics and affectations that are so tempting to someone who has come to count on and crave the audience’s love. Rather than seek his fans’ approval with the actorly equivalent of ingratiating winks, Williams was willing to completely inhabit a character who was somehow terrifying, pathetic, creepy and vulnerable all at once. Although Williams had delivered his share of bravura performances throughout his career, “One Hour Photo” revealed something new about an actor who could no longer be confined to rainbow suspenders, giddy talk-show appearances or dewy-eyed sentiment. And he managed to find a role of similar complexity several years later, in Goldthwait’s “World’s Greatest Dad,” in which Williams again played a high school poetry teacher, this time in the service of a comedy as fraught with nihilistic cruelty as it was with tough, mordant humanism. Not as many people saw “One Hour Photo” or “World’s Greatest Dad” as did “Good Will Hunting” or “Mrs. 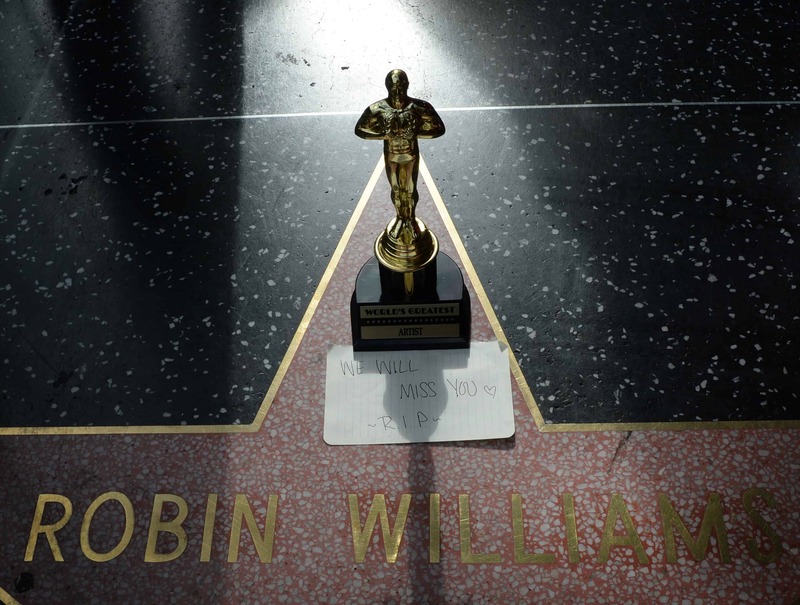 Doubtfire” — or maybe even “Death to Smoochy.” But those who did saw a side of Williams that went beyond light or dark. They saw something brutally, transparently honest in an actor who may have made a career out of being too much, but who at his best was capable of knowing what was just enough.